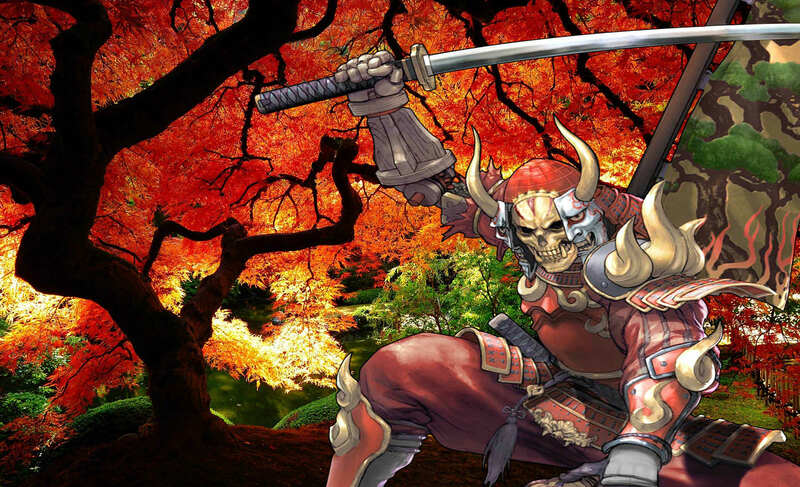 Yoshimitsu is an iconic character throughout the Tekken universe. While he is beloved by many players, his actual story is one borne of confusion. Those of us who have played as him (or against him) can attest to his versatility and amazing costume designs over the decades, which also led me to a feeling of wonder. 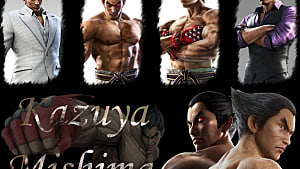 He is one of the few characters to have a unique look every time a new installment is released, followed by tweaks to his fighting style. He was also one of the few characters in Tekken to wield a weapon, his trusty sword (also named Yoshimitsu), which (if timed correctly) can leave opponents drained of more than half their health! The thing is after 20+ years, I still know absolutely nothing about him apart from what I could piece together from his end videos, game manuals, and the occasional wiki thread. With this in mind, I decided to start my very own series entitled 'The Story So Far', which aims to dive right into the lore and stories that make our favorite characters come to life. 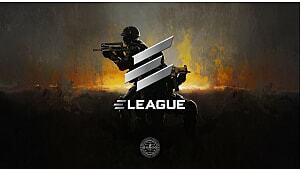 To start this off, one of my favorite franchises seems to be the way to go. 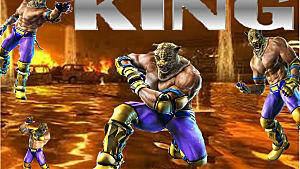 That franchise being Tekken, and Yoshimitsu is the first to be discussed. However, there will be articles on almost every main character throughout the series so stay tuned! 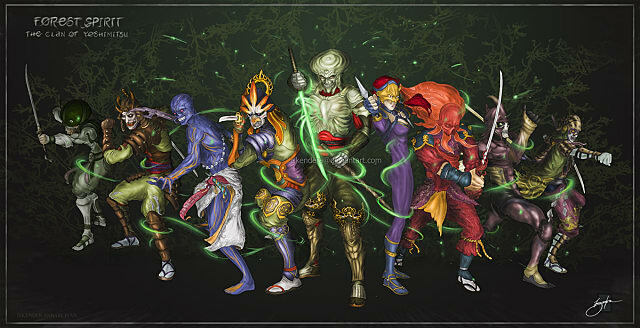 The evolution of Yoshimitsu's masks across the Tekken series. Many gamers don't realize that the Soul series is also one of Namco's creation, and the fact that Yoshimitsu's story actually begins here. 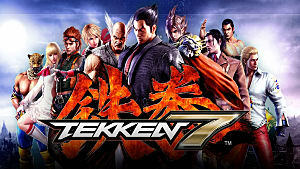 The Tekken series has been confirmed to share the same universe as the Souls series, so to understand Yoshimitsu's life we need to start here. 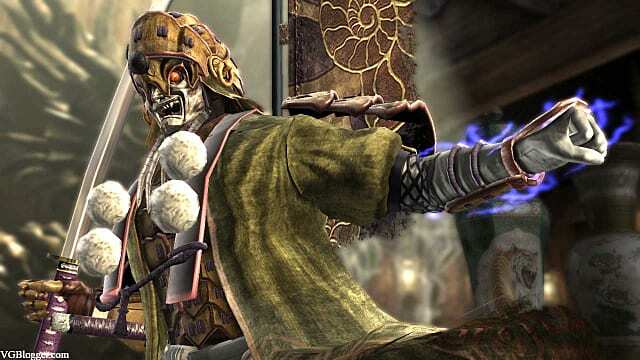 Yoshimitsu as he appears in Soul Calibur IV. 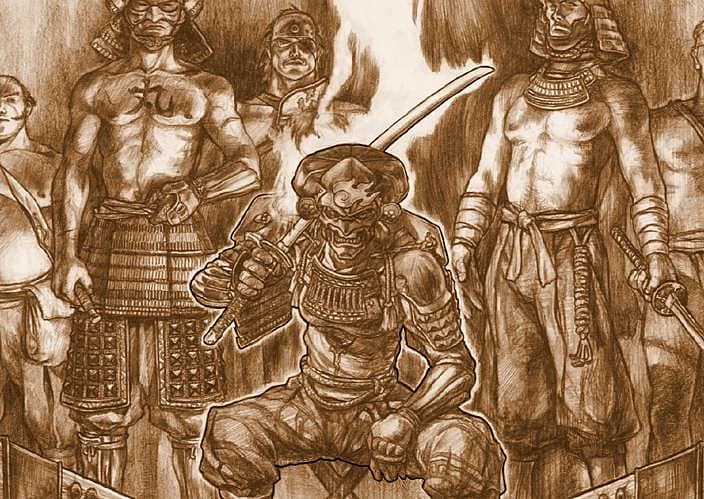 Yoshimitsu begins his story living with his original Manji Clan hidden deep within the foothills of Mt. Fuji in Japan. 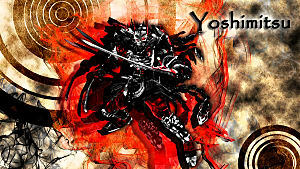 Seeing the skills, of not only his leadership, but that of the Manji clan itself, a noble and rich lord extends an invitation to Yoshimitsu (Yoshi for short) in order to enlist the services of the clan for his ideals. Yoshi, being the humble practitioner he is, declines the offer from said lord but is still offered to stay in his fortress for a few days to take part in its many pleasures and luxuries. Being one of the ultimate ninjas in his region, Yoshi should have smelled that something was off. Unfortunately, the lord doesn't take rejection lightly and had his entire village, along with his clan, executed while Yoshi was distracted enjoying the niceties life offered. Completely enraged at the sight of his home destroyed and his kin slaughtered, Yoshi quickly takes up arms against the lord of his region all on his own. Revenge can be a noble cause, but rage can blind any man -- no matter how skilled they are. Yoshi ends up losing this battle against the lord and his army, ultimately losing his right hand in the process after having it sliced off. Knowing full well that this is a battle he can't hope to win, Yoshi retreats through the tunnels and underground passages of the fortress. Somewhere along this route, Yoshi discovers a prosthetic hand waiting for him among the ruins and debris that lay under the castle. He then promptly escapes and lives to fight another day. 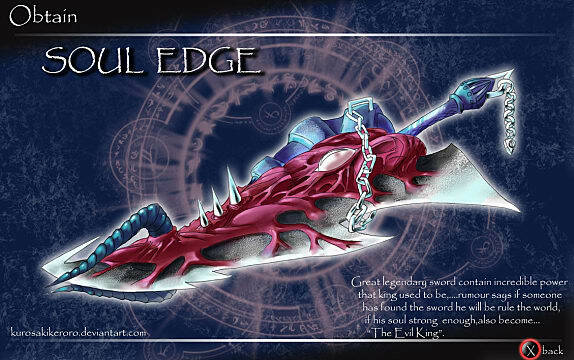 The cursed sword itself, Soul Edge. Once Yoshi begins his quest for Soul Edge, he ends up touring Europe while finding clues about the whereabouts of the sword he requires. Along the way however, Yoshi finds more and more death (which are actually the clues), as the being known as 'Nightmare' is the current owner of Soul Edge and boy, he really can't control the evil within the sword. Yoshi eventually finds Nightmare but due to so much evil around them both, the sword attempts to bind itself to a new owner. Yoshimitsu has spilled so much blood on his crusade to extract revenge that the evil now chose him to take hold of. Luckily, Yoshi had just enough strength left to bind this newfound evil to his original sword (also named Yoshimitsu) and not allow it to take hold of him completely (phew). With the evil now bound to his sword, Yoshi increases immensely in strength and power albeit at the cost of his control. The being known as 'Nightmare', holding the cursed sword, Soul Edge. Playable character from the Soul series, Voldo. A few years pass since Voldo stole the evil sword Yoshi carried with him and now he has resigned himself to helping the poor, the downtrodden, and the defenseless using his wide array of Manji Ninjitsu skills for the better. The only problem is that one man alone cannot make much of a difference. When Yoshi cuts down one or two bandits, more take their place, making it an endless cycle of poverty and weakness for those he intends to protect. It really just isn't good enough so Yoshi decides to try and give more options to the people by stealing from the rich that (don't deserve it) and giving to the poor (who do), a la Robin Hood. His mission leads him to formulate a plan whereby he infiltrates a local tomb in order to plunder the hidden and lost treasures of the 'Merchant of Death'. Yoshi uses all of his Ninjutsu skills to navigate the treacherous tomb and avoid all of its traps, coming very close to death more than once. However, after successfully nearing the end of the tomb, he finally comes into contact with the hoard of lost treasure. As Yoshi begins scanning the area and deciding how much he can take out at once, he notices a gleaming, mysterious fragment, which seems to have the same evil (from his previous sword) emanating from it. Yoshi again decides to add another quest to his already swamped itinerary, vowing to find all the evil pieces like this in the world, and destroy them. No one should have possession of something so evil, which he later understands are broken pieces of the sword Soul Edge, scattered throughout the world from a previous Souls installment. 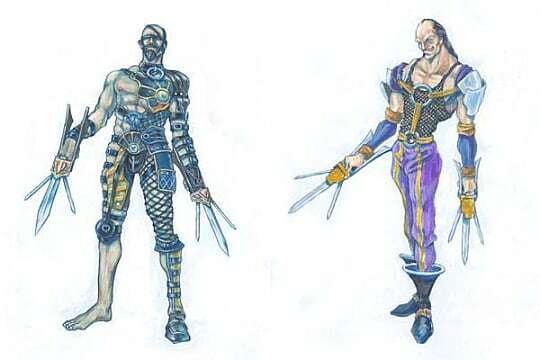 Another outfit from Yoshimitsu in Soul Calibur IV. After escaping the tomb (without the treasure I might add), Yoshi begins reforming his Manji clan by recruiting some local Japanese thieves and warriors. In order to continue helping the poor of his region, Yoshi needed to rebuild his clan and continue his exploits against the overtly and undeserved rich lords through stealing. He aptly names his new clan the Manjitoh, or in other words, the "New Manji' clan. 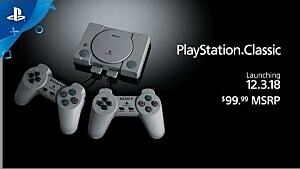 Seems fitting, if completely unoriginal. Now that Yoshi is back to doing what he does best, he leads his clan on a number of different expeditions. 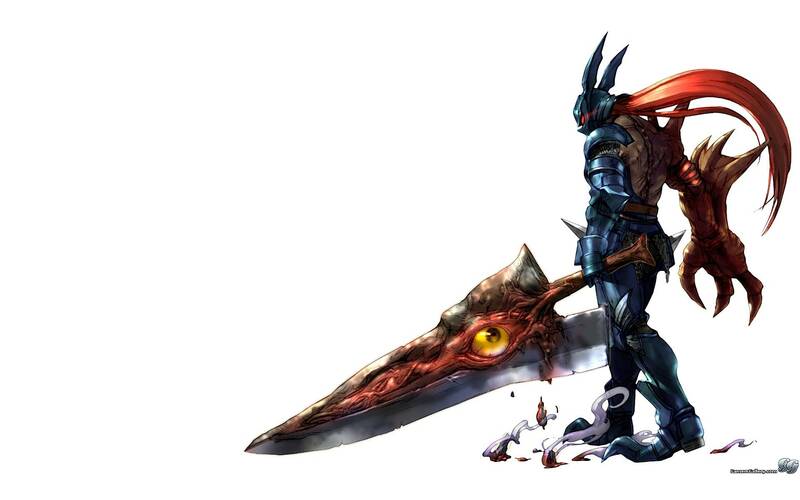 Sometimes it was to save and help his people and other times it was to track and find all the pieces of Soul Edge, in order to destroy them. Yoshi and his clan are immensely successful in not only providing for his villagers but also for destroying every last piece they found... or so he thought. Unbeknownst to him, another rich and powerful lord was in possession of the last shard. As soon as Yoshi uncovered this, he sends his ragtag group of warriors to said castle in order to infiltrate and retrieve the piece. Yoshimistu with members of his Manjitoh Clan. After his Manjitoh infiltrate the lord's fortress, word reaches Yoshi about the fate of his clan. Apparently they were wildly unsuccessful and the result ended with the majority of them being killed, with the rest imprisoned. After hearing the tale, Yoshi wastes no time in attempting to find and retrieve his fellow warriors and moves towards the fortress, on his own. 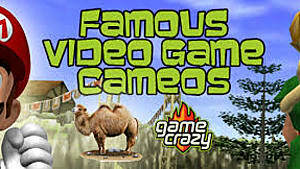 Upon entering the lord's residence and attempting to find his men, Yoshi learns that it was his trusted warrior, Tira, who caused the mission to go haywire. Tira betrayed not only Yoshi but his entire clan for the wealthy lord, obviously in hopes of gaining trust and status. This does not bode well for Yoshi and he fights the traitor with all his might, killing him in the process and making sure justice was swiftly carried out. Unfortunately, during this time, Cervantes (from the Souls series) has risen from the dead (I did say this was a confusing story). 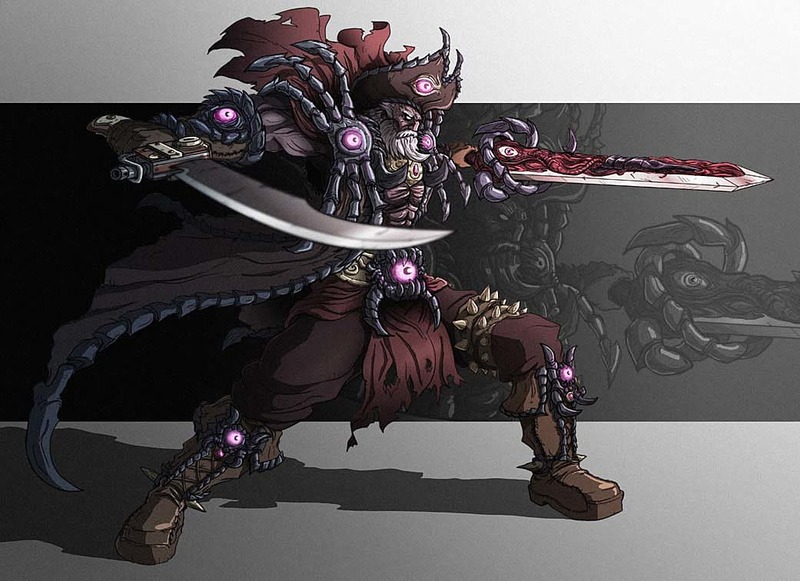 Cervantes is the previous wielder of Soul Edge and now that the final piece is located, he uses it to make the sword whole once again. Yoshi's life's work has been reset to zero in this short time, and old age is beginning to set in for this wily ninja. Playable character from the Souls series, Cervantes. Knowing full well that he cannot continue this crusade for much longer, but also knowing that he cannot stop either, he decides to promote the second best warrior from the Manjitoh. He passes down all of his knowledge, equipment, clothes, maps, and weapons to this protege but in order to attain all of this, his warrior must fight in a battle to the death (it must be Japanese/ninja custom?). After the fight is over, Yoshi is lying face down in a pool of his own blood but what happens next is even more extraordinary. Yoshi's sword lies on the ground but very soon it begins to swallow up his very essence, everything that made Yoshimitsu who he was quickly become encapsulated in his own sword. 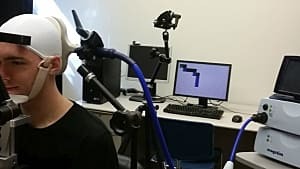 Now, this is where things get interesting. No sooner does the victorious warrior pick up Yoshi's sword with his right hand, that the very same evil Yoshi battled with begins to ignite in an intense, purple color. It begins to render the very flesh off this warrior's right hand and arm. However, instead of screaming out in agony (as most sane people would), he simply declares that he is the new Yoshimitsu, leader of the Manjitoh clan, and that the sword must heed his command and stop. As soon as the words leave his lips, the evil ceases to cause any harm to the rest of his body, containing itself to the sword. After this amazing scene, there is no doubt in any of the Manjitoh warriors' minds of who their new leader is, granting him the title of Yoshimitsu, head of the Manjitoh clan. They promptly wrap him up in bandages to heal any extra damage that was done through the sword's evil and apply a prosthetic arm, much like that of the original Yoshimitsu. If you were able to absorb all of that information and still know what is going on, then I salute you, but there is even more in this character's lore. Yoshimitsu's story does not end here, but continues on into the Tekken series. Part 2 will be coming very soon so please stay tuned for the the ending to this tale. So what did you think? Does this answer many of the burning questions you may have had about one of the best characters in fighting games today? Please leave a comment and let us all know what you think, or even if I missed anything!